Few women have made more impact on women’s sports than Kathrine Switzer, the first woman to officially run the Boston Marathon. This year Iceland celebrates the 100th Anniversary of women’s right to vote. To celebrate the occasion Kathrine has been invited by the Reykjavik Marathon and Íslandsbanki as a guest and a speaker. In 1967 the Boston Marathon, the best known marathon in the world, was considered a men’s only race. Kathrine signed the race form only with her initials, K.V. 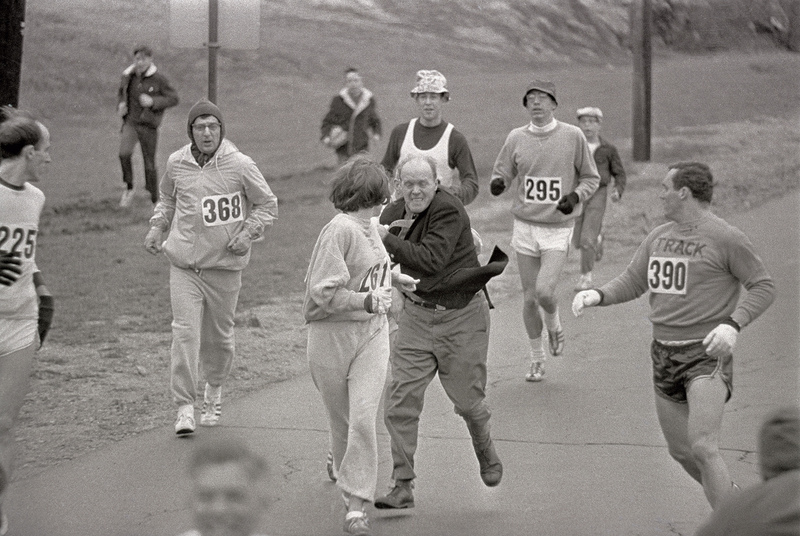 Switzer and started the race on April 19th as an official participant, the first woman to do so. The Boston Marathon officials were far from happy when they saw her running the race. Early on she was attacked by one of the officials who wanted her out of the race. Kathrine was running with a small group, including her boyfriend and her coach. Her boyfriend was an ex-football player who pushed the official away from Kathrine and sent him flying out of the race. Kathrine finished the race and the running world was never the same. The event changed Kathrine’s life and women’s lives all over the world. 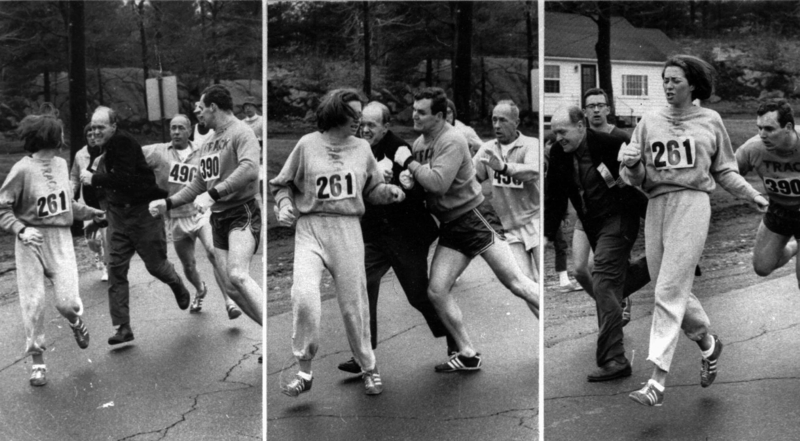 Five years later women were allowed to run in the Boston marathon and later Kathrine played a key role in getting the women’s marathon accepted as an Olympic sport. She has dedicated her life to women’s running and women’s active participation in long distance races. Kathrine won the 1974 New York City Marathon and achieved her best time in the 1975 Boston Marathon, 2:51:37. Running in Iceland had the privilege to ask Kathrine a few questions. RII: You created a women’s only road race in Central Park New York in 1972 which has been held annually since. What is your view on women’s only races and what is the purpose of these races? In Iceland there is a large fun run (no timing) for women held once a year. Would you like to see a women’s only race in Iceland as well? K.V.S: I also created a global series of 400 women’s races in 27 countries for over a million women, this was called the Avon International Running Circuit because Avon cosmetics sponsored it. These events led to getting the women’s marathon into the Olympic Games because it gave us the numbers, talent and international representation. But yes, absolutely, the women in Iceland would LOVE a women’s only race, maybe a 5K,10K and half marathon festival of women’s races. Or just one big 10K. That way, women can run hard if they want to or just run for fun. In my experience, if you create something people will participate. Important: a women’s race is not about excluding men, it’s about encouraging women. The Boston Marathon regulations didn’t mention that women were not allowed to enter. However, (almost) everyone assumed that it was a men‘s only race. Do you think that there are other things in life that women are assumed to be unable to do, just because men have always done them (invisible obstacles)? Of course. People rarely go into something where they feel unwelcome or intimidated. And, sometimes, they believe they cannot do something because they have no opportunity to try. That’s why, for instance, there are fewer women airline pilots, engineers or astro physicists than men – women THINK that it is a men’s domain and so don’t even try. Also, many men in these professions or educators in these fields don’t encourage them as they believe women cannot do certain things. In running, men were very helpful to the women, it was only a few grumpy officials who tried to restrict us. Women outnumber men greatly in the 10K of the Reykjavik Marathon and also overall. However in the marathon women are still only 27% of runners compared to 43% in the US. Why do you believe there are so much fewer women who participate in the marathon in Iceland? Several reasons: because it is still new and perceived as difficult and there are fewer examples of women doing it so women are intimidated to try. Also, running a marathon takes a lot of time in training and many women who work and have kids find it difficult to find the training time to do the long runs. Do you think that the achievement of running a marathon empowers women more than running the shorter distances? Yes, because everyone knows a marathon is difficult and cannot be done without a lot of work. A woman – anyone – becomes more empowered every time you do something difficult. If you run a marathon you know you can do anything. But just running any distance is empowering, the running experience transforms women, as it gives her confidence to take on other challenges in her life. Running gives her a lot of self esteem. How can we encourage more women to participate in marathons and running in general? In your experience, do you think that women have different attitudes towards running than men? Elite, competitive athletes are the same, men or women – they want to go faster and to win. But in general women run for the empowerment, self-esteem, community of other women, friendship, fun, weight loss, stress relief and ‘sacred alone time’ for themselves. Men run for some of the same reasons, but they mostly run to get better, go faster, be competitive. In your opinion, how does running help women achieve more in life and become happier? Because it empowers and transforms them into seeing and believing that they can do much more–the more they do, the more they can do. Kathrine Switzer truly is an inspirational woman. Running in Iceland encourages everyone to attend the forum in Harpa entitled “Equal Rights Is a Marathon” on Thursday 20th of August. 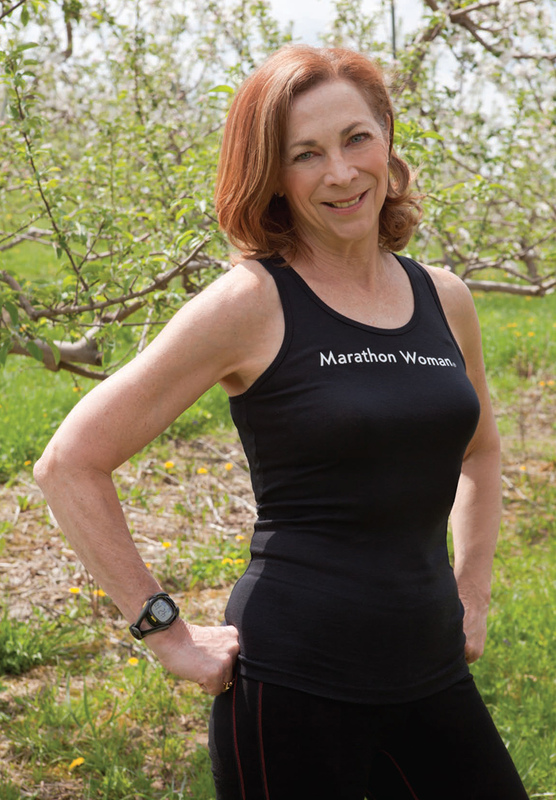 Read more about Kathrine Switzer, the marathon woman.